Today's busy lifestyles, combined with our increased interest in health and fitness, means that home exercise equipment is becoming more popular than ever. Whether you are a mom or a busy professional, home gyms and exercise areas are being furnished with equipment that makes it easy and convenient to exercise at home. Treadmills are one of the most widely used types of exercise equipment — perhaps because they can be used rain or shine, day or night. In addition, treadmill exercise has been shown to burn calories more quickly than exercise on certain other types of equipment such as stair climbers, rowing machines, and exercise bikes. Best of all, using a treadmill requires no special skills. If you can run, you can get a good workout! Jill Shen. Technode. Wednesday, 24 Apr 2019 08:11:56 +0000. Megan Wollerton. CNET. Tuesday, 23 Apr 2019 21:10:49 +0000. A treadmill usually has an electric motor that powers a wide, moving belt. The belt speed is adjustable in small increments, enabling the treadmill user to walk, jog, or run in place at a selected pace on the moving treadmill belt. Treadmills can be designed for walking or for running, and they range in price from about $500 and $3,000. There's a treadmill for just about every space, whether you have a large dedicated room or the corner of your bedroom. Some treadmills even fold up so they can be stowed out of sight when not in use. What should you look for in a treadmill? 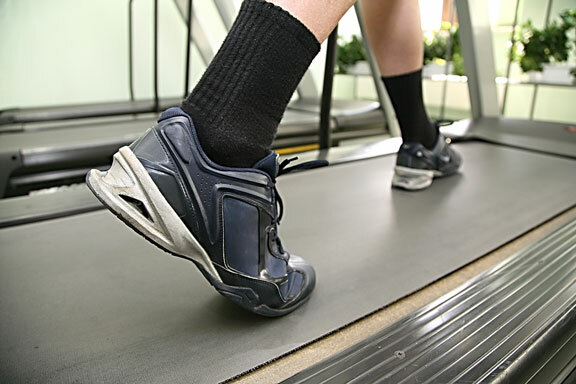 Well, make sure that the treadmill belt is long and wide enough for your stride. It is also important that the console and controls are user-friendly and easy to understand. Safety handrails and handgrips should be conveniently placed, as should side foot rails. And the model you choose should shut off automatically if you fall. Runners, especially, should look for models with sturdy deck and frame construction. Treadmills suitable for running tend to be priced at $1,200 or more, and they sometimes include pre-programmed exercise routines (depending on whether you are interested in general conditioning or fat burning) as well as built-in heart rate monitors. Sporting goods retailers and discount store chains generally offer budget to mid-priced treadmills, whereas specialty fitness and sporting goods stores often sell higher quality, more expensive treadmill brands. Take some time to peruse the treadmill manufacturers listed on this TreadmillRatings.us website, and you'll be sure to find a treadmill that suits your needs. Leading authority on treadmills. Over 150 treadmill models reviewed. This buyer's guide to 7 top treadmills enables readers to compare treadmill features, specifications, and usability. This New Jersey-based firm designs and manufactures treadmills for homes and fitness centers. Leading manufacturer of innovative, user-focused treadmills. 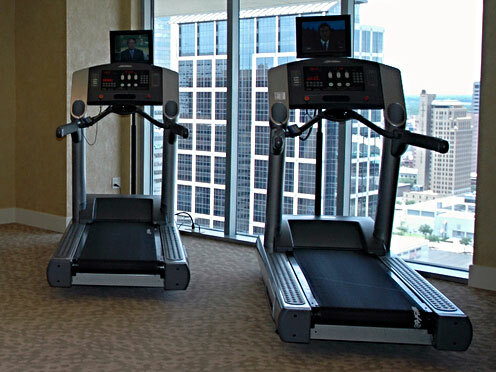 Features home and commercial-grade treadmills, including incline trainers. Offers C series, Crosswalk series, X series, and Value treadmills. 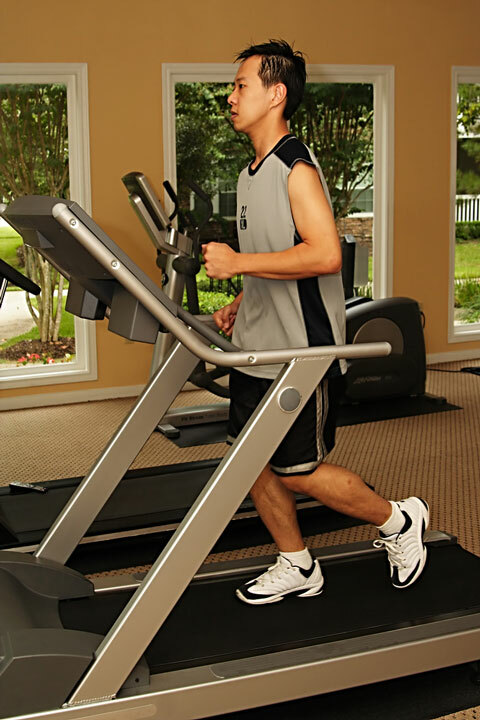 This fitness equipment manufacturer offers several treadmill brands. Offers commercial grade exercise equipment as well as affordable home treadmills. Shop factory direct for highly rated Smooth treadmills and elliptical trainers. Elliptical Machines - elliptical training equipment. Exercise Bicycles - indoor fitness cycling products.